Thinking about buying this app? 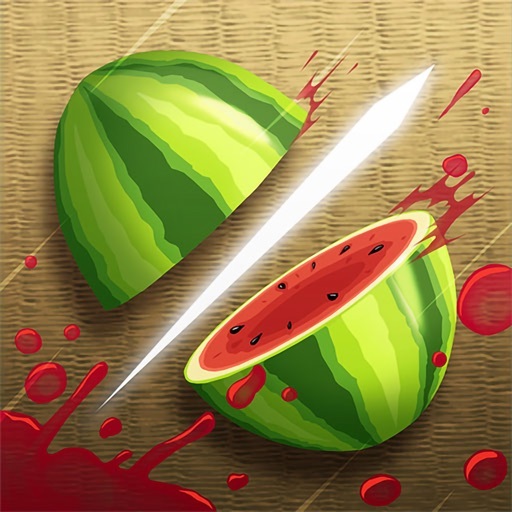 Ah, fruit ninja. When I was 5 or 6 years old I would play it with my babysitter all the time. Now I'm 13 and I finally found it again. Even though it has in app purchases, the purchases aren't necessary to move on in the game. And they aren't easy to accidentally click on. The game is smooth, pretty much lag free, and super fun. It's cool that they put a modern spin on such an old, classic game that will be fun to the end. I hope you get this app, you won't be disappointed. When you play the game, these sparks, that are remnants from previous games, will cut fruit occasionally for you and if you have the fire blade all bombs go for the sparks and blow up making the item unusable. There are other issues I have like privacy when connected to Facebook. The app assumes you want every one of your friends to see you on their leaderboards just because you connected to fb. It’s whack. The game won't even open! What a waste of money! They need to fix the game! Won't even open, company won't fix. I paid for full copy. It won't end open on my iPad. I do have a gen 2 iPad so it is older, but have never had any trouble with any other apps. I tried deleting and re-loading. It still won't open. I get a load screen then it shuts down. I tried contacting the app support who sent me an email ticket number for tech support; Which they have never responded to after the initial ticket number. I have gone on the web page and resubmitted for tech support and again same thing, got an email with a ticket number and then crickets, no responses to further requests for support. No responses to requests for updates. No response for request for refund. It has now been almost 2 weeks and no actual response from any real person. Just automated replies with ticket numbers. This app publisher obviously likes to take payment, but does not care enough to even support or fix their problems. I have not even been able to get a refund. I'm just going to take it as a $4 lesson. I don’t agree with the terms so they are refusing me to play! You should Be allowed to play even though you disagree with the terms and conditions!!! No one should be locked out of a game for resuming to agree with something they don’t!!! Finally came back and started to enjoy the game again. I have the weekend off and it won't open. It just crashes. I'm so frustrated I decided to write a review.